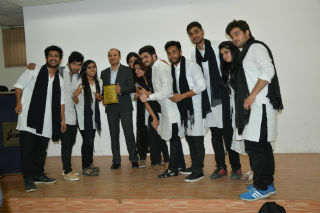 Youth power renaissance’16 was conducted on 2nd February, 2016 at the campus of Jagan Institute of Management studies, Sector-5, Rohini, Delhi through ‘Nukkad Natak’ competition among various colleges which included teams from JIMS, Rukmani Devi Institute of Advanced Studies, Tecnia Institute and Ashtavakra Instate of Rehabilitation Sciences and Research. 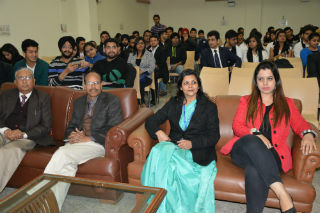 The topics were Energy Conservation, Theft of Electricity and Unethical Activities. 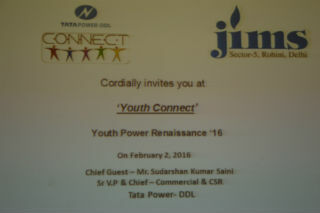 Event was organized in association with TATA Power Delhi Distribution Ltd. 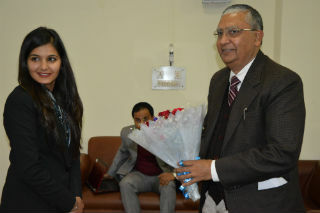 The chief guest for the event was Mr. SK Saini, Chief commercial officer,Tata Power Delhi Distribution Ltd. and the judges were Mr. Brajamohan Panigraha, TPDDL, Ms. Pratima, JIMS, and Ms. Kiran Gupta, TPDDL. 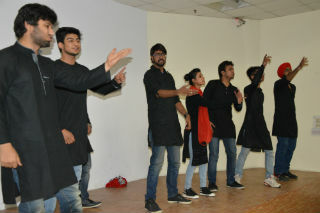 The event began with an introduction of NUKKAD NATAK and about TPDDL followed by the introduction & welcome of Chief Guest and the judges. 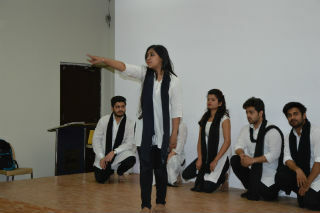 The event began with the performance by Rukmini Devi Institute,followed by other teams. All the participants gave colourful performances touching upon the various unethical activities prevailing in the society. They also emphasized on the need for energy conservation and judicial use of resources. Later Mr. Panigraha gave his assessment on the performances and encouraged the participants by singing few lines from a motivational song. 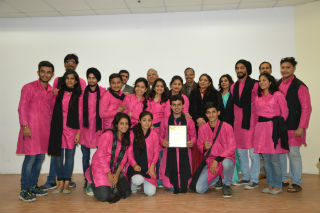 Tecnia Institute stood first, JIMS stood 2nd and Rukmani Devi Institute of Advanced Studies stood 3rd. 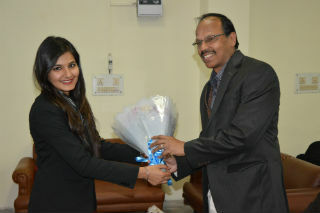 They were awarded with certificates and mementoes by TPDDL. 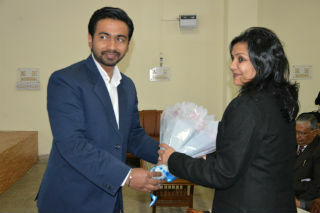 The event ended with vote of thanks by Ms. Kiran Gupta.